Cunningly installed just down the street from the monumental Jeff Koons retrospective at The Whitney Museum, Gagosian Gallery is currently presenting a small but impressive exhibition of Marcel Duchamp’s body of readymades, offering a nuanced historical counterpoint to some of the artist’s most distinguished predecessors. Spanning almost the full course of the artist’s career, Duchamp’s body of readymades continually revisited the actions of choice and execution in the art work, an exercise in creative labor that repositioned the artist as part of an ongoing and fluid creative exchange, rather than the overtly privileged role as a creator the the fully “new” that had dominated the art of antiquity. 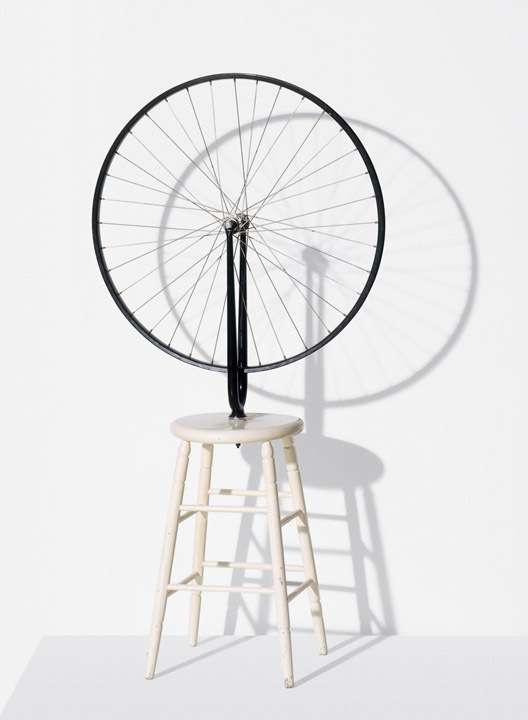 With 1917’s Fountain and subsequent works like Bicycle Wheel or Hat Rack, the artist turned his role into that of an additional step in labor and in the manufacturing of value, using his readymades as raw material that changed drastically in its meaning and value in the gallery context. But Duchamp’s work is also notable for its embrace of time, a facet of his work that the readymades provide a fascinating opportunity to explore. It’s easy to forget that Duchamp’s readymades languished in obscurity until well-into the second half of the 20th century, when pop appropriation provided a new point of entry and context for his confounding pieces of industrial material and consumer objects. But Duchamp didn’t merely rely on history to rewrite his role after what some could term an initial failure. 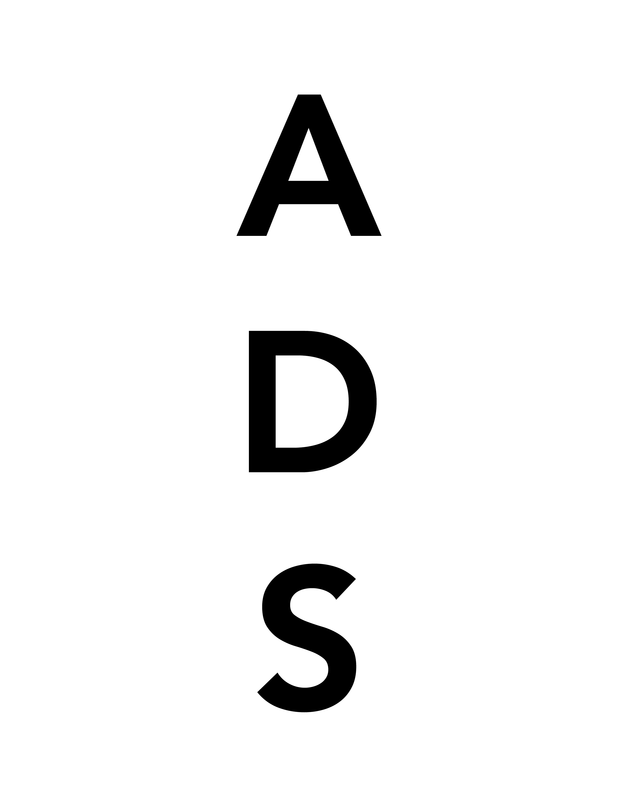 The artist himself treated his works as an ongoing project, recreating the works several times over the interim from their initial conception to their final acceptance into the canon of the “post-modern.” In several instances, he even created his own brand of critical advocacy for his works, publishing reviews and reappraisals of his own pieces in Dadaist journals, and leaving a wake of written material for the future appreciation of his work. Nowhere is this more apparent than in Duchamp’s albums, miniature collections of his most iconic works from this series and several others. Compiling his body of work into a portable, easily reproducible commodity product, Duchamp actually presents a series of miniature versions of Fountain, Air de Paris, and more, trinkets that alter the aura of his original works. Rather than the single, elevated art object, Duchamp disperses the actual impact of his work, and spreads the concept of the readymade further than a single object could ever reach. For Duchamp, the idea of the work, and its presence as an executed art technique, is far more important than a singular piece. The readymade, as a result, like any artwork, does not exist as a mere divergence from art tradition, but remains embedded in an ongoing negotiation with its own history. It’s a position that ultimately becomes a fundamental underlying factor in the any readymade creation moving forward. Take Koons, for example, whose massive retrospective features ample appropriated pieces like Nike advertisements and Hoover vacuums from the 1980’s (and who is also represented by Gagosian). While the work prioritizes the new as a method of engaging with mortality and consumption, the dated nature of the works ultimately create a fascinating dissonance with their original message, leaving the “newness” out of touch. While the fundamental points of capitalist production and use sit clearly at the heart of Duchamp’s works on view at Gagosian, time and space ultimately play an equal role, underscoring the artist’s ongoing exchange with Dadaist and Surrealist modes of thought. Given the the blockbuster glitz surrounding the elevated moments of contemporary culture just blocks away on Madison Ave., the Duchamp readymades make for a striking exchange with the history of its own form, and a fascinating study in the shifting nature of its place in art today. This entry was posted on Monday, July 28th, 2014 at 12:00 am	and is filed under Art News. You can follow any responses to this entry through the RSS 2.0 feed. You can leave a response, or trackback from your own site.